There are two things one can count on when visiting Syracuse for a hockey game: it’s going to be loud, and it’s going to be physical. 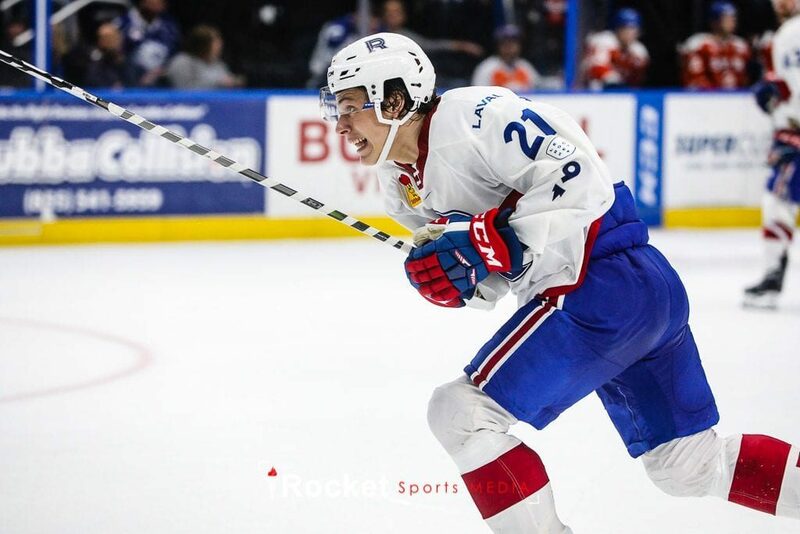 That was certainly the case on Friday night when the Laval Rocket played their penultimate game of the season against the Crunch. As far as the lineup, things looked pretty similar to Wednesday’s game, with Brett Lernout returning to the lineup in place of Maxim Lamarche and Connor LaCouvee taking over the netminding duties. The first three minutes of the game dictated how the night was going to transpire. The Crunch dominated the play and used their size and speed to control the puck. Just one minute and 34 seconds into the game, Alexander Volkov picked up a loose puck and sent a quick wrister sailing past LaCouvee on his glove side to take an early lead. Just 55 seconds later, on the third shot of the game, Syracuse tallied another goal, this time by Andy Andreoff. Again, the puck went glove side past LaCouvee and into the back of the net. Joel Bouchard immediately used his timeout in an attempt to corral his team after less than three minutes had expired in the game. 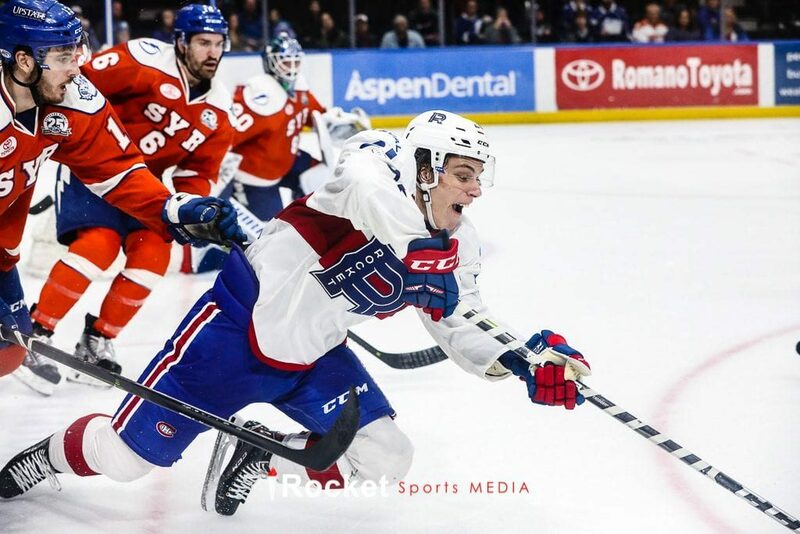 The Crunch weren’t able to score another goal in the period, and Laval, after not getting a shot on goal for the opening six minutes, were able to right the ship a bit after rookie Matthew Struthers, playing in his fourth AHL game, took advantage of a power play opportunity and netted his first professional goal to pull the Rocket back within one goal. In the second period, the Crunch again took control early and beat LaCouvee for a third time glove side. 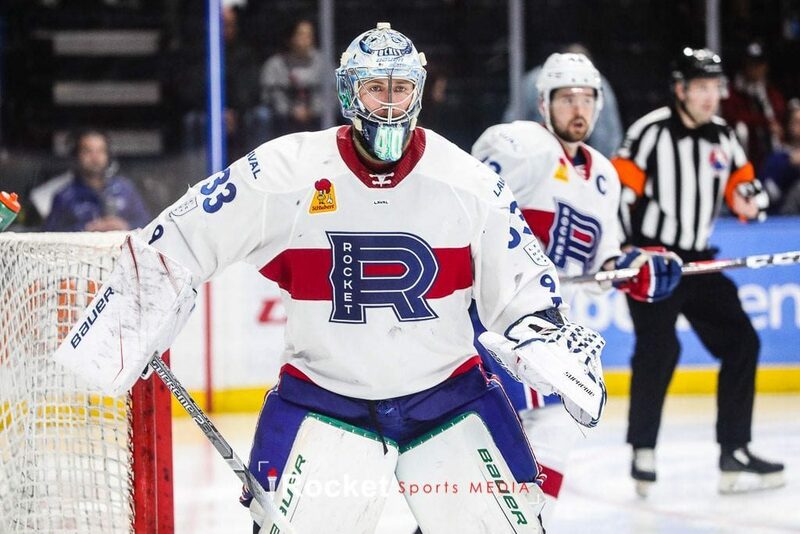 It was Carter Verhaeghe on the power play, and that goal chased the Laval goaltender from the crease and brought Michael McNiven in to take over goaltending duties. Soon after, the tension on the ice increased significantly. Scrums started popping up at practically every stoppage. Hayden Verbeek and Hubert Labrie dropped the gloves for a quick bout that sent them to the box for five minutes each. Then Verheaghe struck again, this time amidst heavy traffic in the crease. The teams headed to intermission with Syracuse leading 4-1. The third period devolved into an all-out undisciplined 20 minutes, with players visibly frustrated and irritated. At least three significant scuffles broke out during the frame, sending players like Josh Brook and Michael Pezzetta to the dressing room early. Brook earned a 10-minute misconduct for continuing an altercation and Pezzetta earned a five-minute fighting penalty along with a roughing minor late in the game. 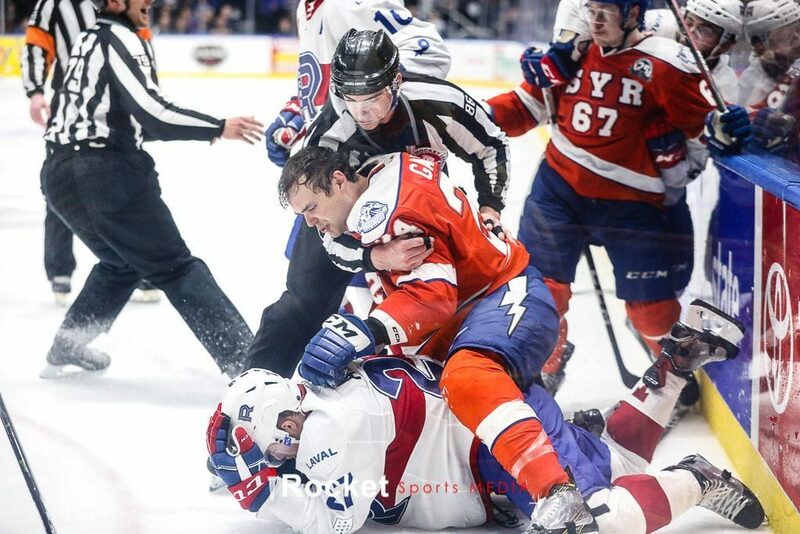 Cameron Gaunce, pictured below, took out his frustrations on Alexandre Alain and joined teammate Cal Foote in the Syracuse dressing room early as well. 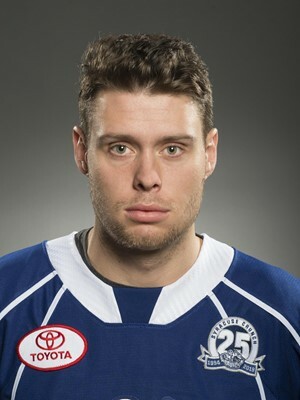 In among all the fisticuffs, Alex Barre-Boulet extended the Crunch’s lead with another power play goal and the 5-1 hole Laval found themselves in was too deep for them to dig out of. Laval will finish out the 2018-19 season with one last road game with a trip to Binghamton to square off against the Devils, who are currently sitting in last place in the Eastern Conference. 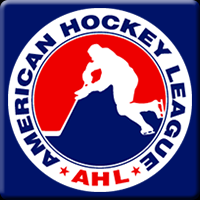 Will the Rocket play down to Binghamton’s level? Or can they find the will to win one last time this year? 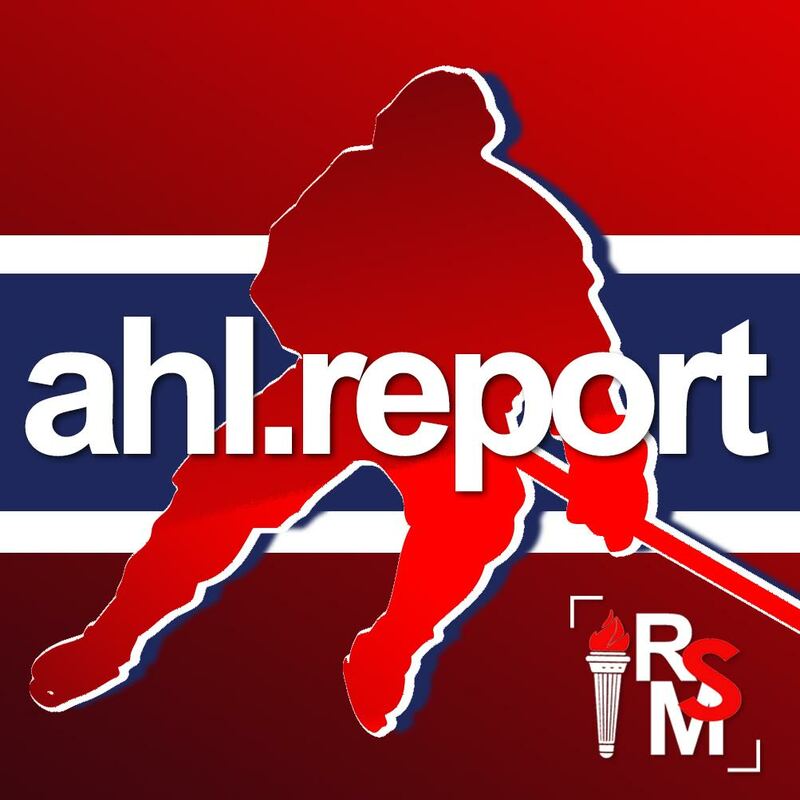 Follow along with the AHL Report tonight to find out! In the meantime, you can listen to post-game interviews in the audio player below.